Learn English and enjoy the sparkling Mediterranean Sea, the wonderful climate and the friendly people of Cyprus. Learn English in a place of sea, sun and fun! 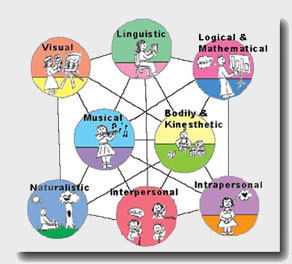 Despite the criticisms and questions that surround Gardner’s theory of Multiple Intelligences there is no doubt that his theory has helped teachers of Pre-Primary and Primary education to identify children’s strengths and weaknesses in a more effective way and that intelligence must be seen in context of environment/character/time. According to Howard Gardner we cannot treat everyone the same, and by understanding and recognising the nine intelligences in the children we teach, we get closer to understanding the individual child better and apply those teaching methods and learning experiences that are meaningful to the child. How many times have we seen the unresponsive and apathetic child in our classrooms who we believe in not trying enough and lack motivation? Could it be the unresponsive children need to learn in different ways? 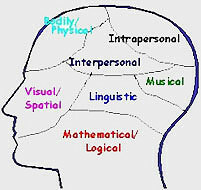 Dr. Gardner challenged the traditional psychological view of intelligence as a single capacity and proposes that all individuals possess at least seven independent intelligences thereby offering the hopeful message that there are children who may not perform adequately well on tasks that rely heavily on linguistics and logical mathematical abilities but may excel in other intelligences such as: music, kinaesthetics, spatial fields. For these children opportunities need to be created to enable their strengths to be efficiently explored by creating the right environment and experiences for their specific intelligences to unfold and evolve. Dr. Gardner stated that testing intelligences using the paper and pencil methods or basing assessments briefly interviewing children that last minutes instead of hours simply did not allow for a successful sampling of an individual’s competence of personal intelligence in areas as bodily expression or musical ability. We as teachers have seen time and time again that when we work on children’s specific skills areas, they show enthusiasm, self-confidence and cooperative spirit. As Dr. Gardner supported in his talk, the western culture puts far greater emphasis on the self as an active decision making agent that possesses considerate autonomy, and therefore intelligences should not be viewed merely as a group of isolated capacities. Instead the intelligences can be made smarter if we as educators help children to exploit those potential areas of skills and show them the way to interact and engage themselves into their surrounding society creatively, meaningfully and ethically. In fact the issue of ethics is of paramount importance. Dr. Gardner expresses his interest in two ethical dimensions of human intelligences that our directly relevant to us as educators and should concern us all: A) How can we ensure that every human being develops to the fullest of his/her potential and, more importantly, B) how can we help to ensure the use of those intelligences for positive ends rather than destructive ends. 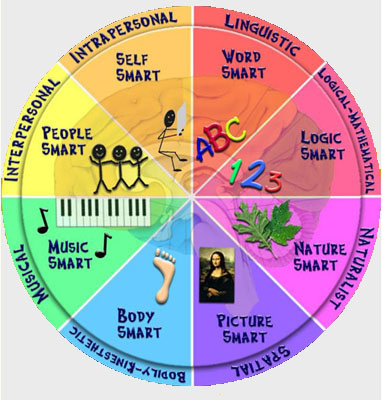 Gardner’s theory of Multiple Intelligences can act as a significant tool for understanding from the point of view of teachers towards their students, students towards themselves and others, and students in relation to the world they live in. If we provide rich, generative ideas which are revisited time and again across a students’ school career and allow students to involve themselves in rich and multifaceted projects utilising their strengths and help them improve in their weaknesses then we can help them on the road to excellence, engagement in an ethical manner.